I fell in love with gradient manis last year, when photos of Lauren Conrad sporting them started popping up all over the style interwebs. The good news: you don’t need five different bottles of polish to pull this look off. Keep reading for a simple how-to! 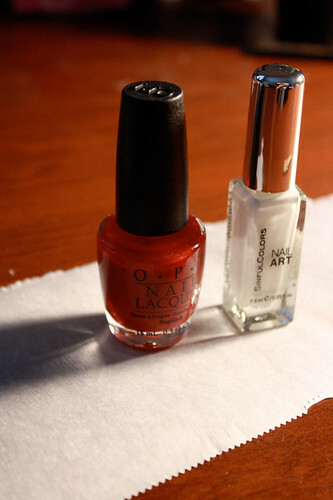 Step 1: Start with clean nails, and a thin coat of base. 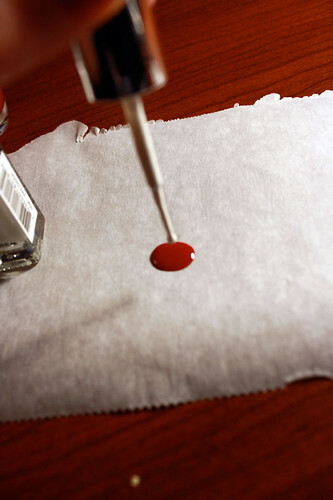 When the base is dry, paint both of your thumb nails with the original color. 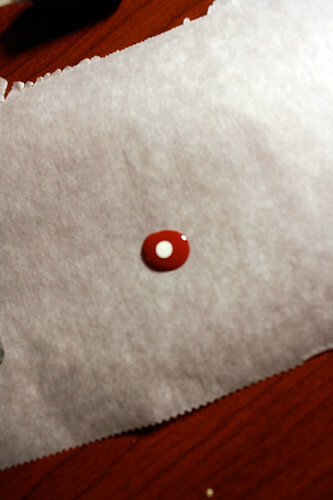 … And slowly add drops of white polish until you reach your desired gradient effect. The first color you make will be the color for your pointer fingers. For a more subtle gradient, use less white; for a more drastic gradient, add more white. 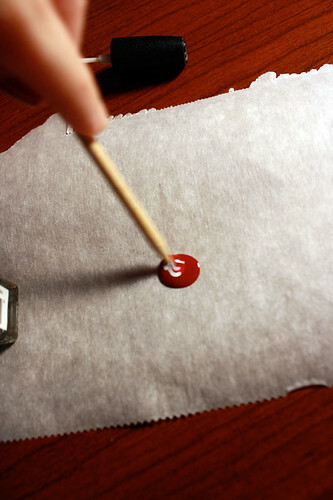 Step 3: Using a small orange stick or toothpick, carefully mix the white into the original color. 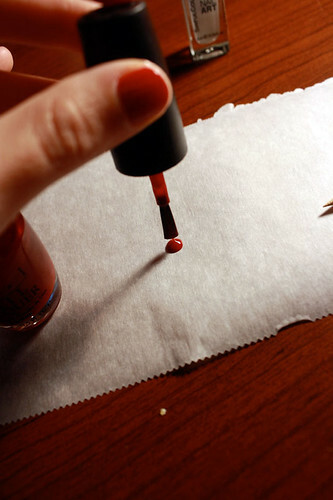 Do this gently, or you’ll get a lot of air bubbles in the polish. 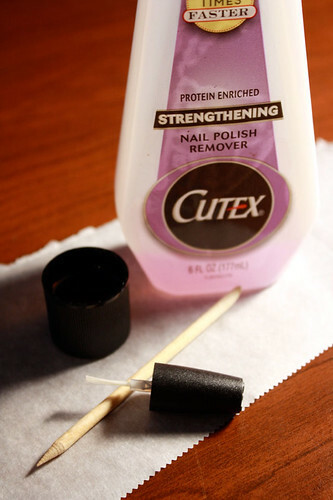 Step 4: Using a clean polish brush (I used one from an old sample bottle of O.P.I. top coat, and cleaned it with nail polish remover before I got started) apply the new color to both of your pointer fingers. 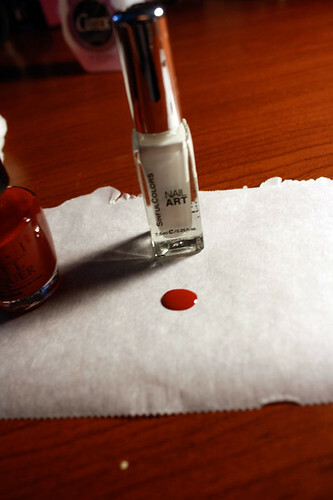 While they dry, soak the polish brush in a capful of nail polish remover to remove the color and get it clean and ready for the next finger. Repeat steps 2-4 three more times for each set of fingers (left and right), adding more white each time to make lighter and lighter shades. 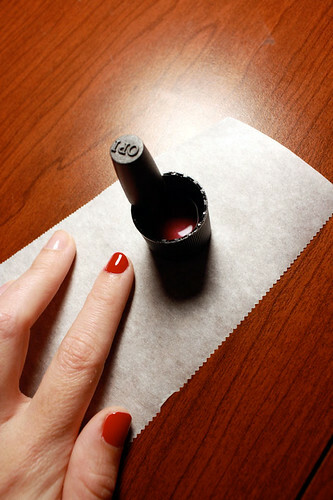 Seal the entire manicure with a good top coat. I like the pics with the tutorial. Very cool. If you have more to share, we’d love to see what you have to show us about nails at Taaz.com. The Bellacures Newport Beach grand opening is Jan. 12. Stop in and get $10 off your service (301 Marine Ave. Suite B – Newport Beach) ! 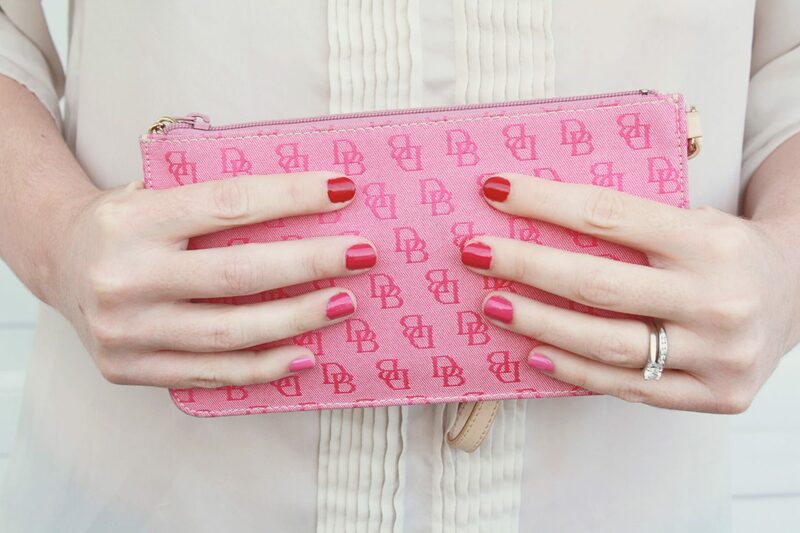 You can also like Bellacures on FB http://www.facebook.com/Bellacures to win a free manicure a month for a year! . What a fantastic idea! I like the subtley of it. 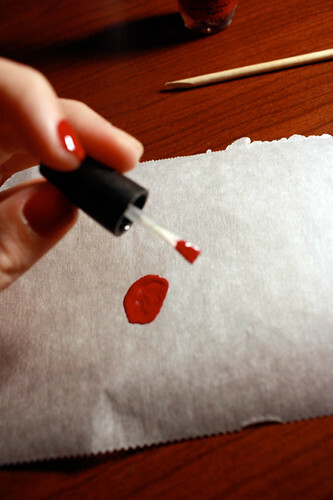 I don’t paint my nails often, but I might try this on my toenails! Very cool! I love this and will definitely have to try it sometime soon! So cool ! I loved your idea ! awesome tutorial. such a fun, versatile look! Ahh, I always wondered how to do this without getting several very similar colors! Such a great tutorial, thanks for sharing!! This idea is so creative but so easy! Love it! I really like this, so different but still classy! Love this! Great idea. Looks lovely. Such a cute idea, will have to try this!! This is fantastic! I will be giving this a go, thanks! Looks cute! Nice twist from the usual all red or pink, but still subtle!